There are various image processing techniques that can be used to improve the quality of images. This post will discuss how today’s digital cameras and computer software include built in image processing capabilities and simple techniques that can be used for forensic video enhancement. Exposure time or the time an image sensor is exposed to light. Gain or the digital amplification of the image level to electronically brighten images. Increasing the gain of an image (number 3 above) will also result in increasing the “noise” in the image, but that does often help our eye see certain details of the image signal more clearly. Another alternative to enhance the image is to increase the exposure time (number 1 above), but unfortunately this can also require reducing the frame rate. All these parameters are automatically checked and calculated by automated camera tools (such as is included in most modern digital cameras, surveillance cameras, etc.). 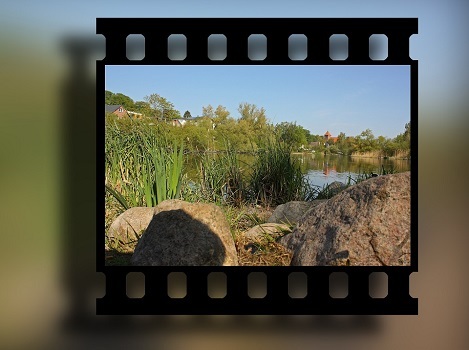 However, if the resulting image has too much noise, a forensic video expert can make use of forensic video enhancement services to improve image quality. Too much backlight is often difficult for a camera to handle. For example, if there is a section of the image that is very bright, the camera might think that there is too much light in the entire image and automatically reduce the iris opening or decrease the exposure time. In this case, the most important area, the area of interest, in the resulting image may be too dark and of lesser resolution quality. The effect of this is that important details can be lost in the dark. Another method known as backlight compensation introduces a mechanism to ignore specific areas of the image containing high light. Using backlight compensation, the camera will expose properly for the darker areas of the image, and the bright areas will get overexposed. Cameras can also calculate the exposure required by determining which area in an image has the maximum exposure value. Known which method is done automatically by the camera, or manually by an expert, if often vital when considering which method of forensic video enhancement services to use. Different noise can occur in different regions, especially dark regions which can have a high level of noise. In images with many different lighting conditions, large artifacts might show up in between pixels of different lighting conditions. Because this technique often requires taking two pictures of the image, one quickly followed by the next, and then combining the results, if quick movement occurs at the time when the two images are captured, the final image can contain strange errors due to the movement and location changes of the objects. Colors can be very weak and regions with different light may receive very low dynamic range. All digital cameras use a process of de-mosaicing in order to process raw image and convert it into a high quality color image. As each pixel simply records the illumination behind one of the color filters, values from neighboring color pixels are used and interpolated to calculate the actual color of that pixel. This is done using the process of de-mosaicing, which uses an algorithm that converts the raw image into high quality color image. After color interpolation, white balance is performed to ensure correct color balance. The neutral (black, gray, white) colors stay neutral regardless of the illumination. In network cameras indoor and outdoor settings are used to manage the white balance. In cameras having an auto white balance function, two or three different gain factors are used to amplify the red, green, and blue signals. Digital images can be enhanced using Digital Sharpening and Contrast Enhancement. Digital sharpening is the process of increasing contrast at the edges by lightening the light pixels and darkening the dark pixels. Contrast enhancement affects the overall image, by changing how the original pixels are mapped on a display screen.